The rumour mill for the Samsung Galaxy SIV is starting to pile up, with snap shots of the phone already “leaked” out onto the internet and people taking pictures with the phone. Right now Samsung are avoiding the subject as they do with most flagship devices, but we believe they are secretly anticipating a huge launch. The Galaxy SIV may be the most hyped Samsung product of all time, with Samsung only coming into the phone and tablet market after a good run in the TV and electronics department. While their tablets have been rather poor and unwanted, their phones, especially the Galaxy S3, has been a worldwide hit. Many now see Samsung as the dominate driver in the world of smartphones today, pushed along by the open giant Android. While it is widely debate as to who holds the real power behind the top-seat, with contenders like Apple, Google and Samsung, it seems Samsung are the top company right now in phone sales. Samsung may not be the type of innovators that Apple were under Steve Jobs, they are a collective group of people that work for excellence. They rarely put a step wrong, because all their decisions are calculated to have the best success. This means that while we will never see a leap forward in the mobile industry by Samsung the size of the iPhone, we will see gradual movement. 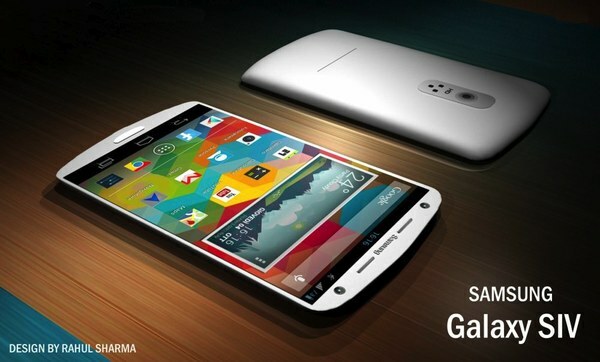 The Galaxy SIV should have the eight core, 1.8GHz processor that Samsung showed off at CES 2013. These benchmarks have been released on many Japanese blogs today and we suspect they have some ring of truth to them. Whether Samsung release the Galaxy SIV at WMC or at their own event in the coming months, we suspect it will be a big moment for the mobile industry. Samsung is leading the way, and while 1080p displays may be what all companies are trying to add to their phone, Samsung will show all the companies the standard of 2013.